View our 90-second highlights from St Mary's. View the best of the images from St Mary's. Striker pleased to take his chance from the start. Two-goal Charlie Austin on Everton win. Saints boss' delight at Everton success. Austin at the double as Saints run riot at St Mary's. Dušan Tadic on a superb 4-1 win over Everton. Can you complete our latest pre-match quiz. The Saints boss looks ahead to the clash with Everton. Watch the boss look ahead to Everton. View the best images from training at Staplewood. Watch the manager speak with the media ahead of Everton. Mario Lemina is our latest cover star. Check out images from an intense Tuesday training session at Staplewood. Watch Sunday's Premier League clash in style. Charlie Austin with two headed goals! Dušan Tadić gives Saints an early lead! Southampton's players thank a packed out St Mary's crowd, after securing three vital Premier League points! A brace from Charlie Austin and goals for Dušan Tadić and captain Steven Davis seal the points at St Mary's! Deserved three points and a joint three goals from this pairing! That's the game in the bag! Everton's most likely threat is the Icelandic forward. He fires another shot goalward, but is was always rising. Forster happy to watch it sail over the upright. Fraser Forster equal to the effort, but Everton are pressing with a bit more intent now. We're in to the final ten minutes! A standing ovation for the striker, and rightly so! Shane Long is introduced in his place, a straight swap. Midfielder Mario Lemina is reintroduced after his five week lay-off with an ankle injury. One of his finer performances of the season for the departing Tadić. Smiles all round as Austin nets his second of the afternoon. Saints still lead 3-1! Good build up play from Saints, while the visitors look dejected. Boufal and Bertrand linking well down the left. Højbjerg also looking comfortable in midfield, on his first Premier League start of the season. Out-swinging delivery, attacked by Wesley Hoedt at the front post. Volleyed wide. Another chance for Saints! The forward is causing problems in every attack. Having netted the first, the Serbian international creates Saints' third goal. Saints fans making the noise! Charlie Austin gives Saints the lead for a second time, squeezing his header past Jordan Pickford from a tight angle. The striker's second Premier League goal of the campaign! Ward-Prowse to take, Austin connects at the near post. Ball is inadvertently cleared, but falls to Ward-Prowse once more. The shot is charged down by Jagielka. Everton get us back under way here at St Mary's. Evenly poised! Dušan Tadić and Gylfi Sigurdsson with the goals. We'll bring you all the live coverage from St Mary's next! A selection of images from the first half, as we gear up for a big second 45! Come on, lads! Saints very unlucky to have their early goal cancelled out by a Gylfi Sigurdsson wonder strike. The home side dominated possession, and the balance of chances. All square at the break. Completely against the run of play, Everton find themselves level. Sigurdsson scores his first Premier League goal since the summer move to Goodison. The forward is bright in possession, constantly looking to create openings. Cédric involved again. Ward-Prowse arriving late at the back post but can't connect with the cross. Set-piece specialist James Ward-Prowse on corner duty, wonderful delivery. Austin heads wide, before van Dijk sends a glancing header just off target. Saints look comfortable in possession, keeping the ball well in Everton's defensive half. No chances of note, but the home side in control as we approach the interval. James Ward-Prowse attempts to meet Boufal's cross from the left, gets under the flight of the ball. Another chance for Saints as they attempt to gain a bigger advantage. Gylfi Sigurdsson delivers. Forster makes a routine catch and Saints remain in charge. Saints maintain their narrow lead as we approach the half hour mark. Cedrić again down the right hand side, hangs a ball up at the back post. Boufal gets up well and beats his man to the ball, but can't direct the header on target. Fraser Forster is out quickly to thwart the Everton forward. But Mirallas had a momentary sight of goal there. Charlie Austin with two early chances to edge Saints in front. Neither taken, but a positive start from the home side! Everton with their first effort on goal. Mirallas collects the ball on the edge of the Saints area, rather lashes at the shot. Fraser Forster watches it comfortably wide. Saints with all the possession around the Everton box. Tadić's return ball is narrowly missed, before Ward-Prowse is found in space. His low cross was just collected by Pickford. Sofiane Boufal sweeps the ball out wide, Cédric attacks the box and wins a corner. Ward-Prowse delivers, van Dijk wins the header. Charlie Austin blazes the ball over from close range. Steven Davis wins a foul in the attacking third. Free-kick taken by James Ward-Prowse, missed by red and white shirts. Rebounded off an Everton defender and Jordan Pickford claims. We're minutes away from kick-off here at St Mary's. The stage is set! The Saints players are out on the St Mary's turf, preparing for today's Everton clash. Today's Saints captain Steven Davis will be wearing a multi-coloured armband in support of Stonewall's 'football for everyone' campaign! Today, Southampton FC are supporting the Rainbow Laces' inclusivity and equality campaign at St Mary's! James Ward-Prowse and Charlie Austin are among the changes for the home side, Pierre-Emile Højbjerg also comes in for the suspended Oriol Romeu. Mario Lemina is available from the bench. 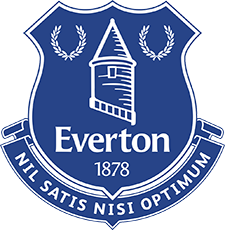 Starting XI: Pickford (GK), Schneiderlin, Baines, Keane, Jagielka (C), Mirallas, Lennon, Gueye, Sigurdsson, Calvert-Lewin, Kenny. Subs: Robles (GK), Williams, Ramírez, Rooney, Vlasic, Lookman, Baningime. Starting XI: Forster (GK), Cédric, van Dijk, Hoedt, Bertrand, Davis (c), Højbjerg, Ward-Prowse, Tadić, Boufal, Austin. Subs: McCarthy (GK), McQueen, Yoshida, Lemina, Gabbiadini, Redmond, Long. Team news is on its way! Our photographer was on hand to catch the players making their way to the dressing room, as Saints gear up for today's Premier League action! Mario Lemina is our feature interview in today's matchday programme. It's a great read, and you can order a copy yourself at saintsmagazines.co.uk. We respect the people and I think the people have to receive the messages from the players on the pitch. We have to show our character from the beginning and our spirit as a team, and this for me is the most important thing. Southampton are a good team that passes the ball well. We have to show courage to go out and perform and deliver a result for the supporters. Relive last season's home victory over Everton, as Charlie Austin netted the winner in the opening minute.